0.25" x 0.14" 90 degree Dual Sided countersunk center hole on both sides of magnet to recess a #6 flat head screw head. Grade N42 is the recommended Grade due to its cost effectiveness over N35/N38/N40 in Hugh Piggott's new book "A Wind Turbine Recipe Book". YOU GET WHAT YOU PAY FOR !!! 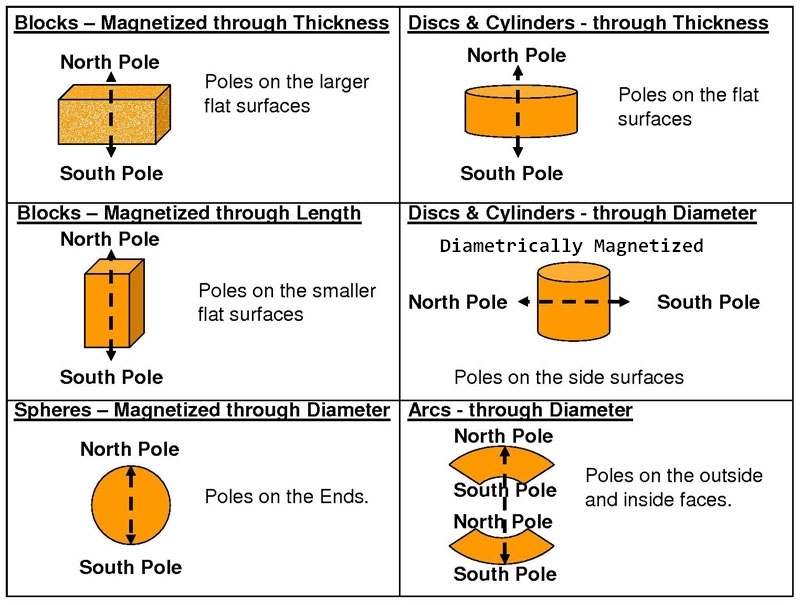 For wind generator magnets, coating and performance are the most important things to consider, we recommend Epoxy+Nickel+Copper+Nickel 4-layer coating for long term durability under all weather conditions, we don't recommend Epoxy single layer coating, please read details below. To have better performance for your wind generator, the higher grade the magnets, the better; N42 grade offers much better performance than N35. we recommend at least N42 or higher grade for high performance. N35 is the lowest NdFeB neodymium magnet grade on the market, we don't carry N35 grade due to its lower performance making our N42 grade the better value. N38 and N40 are lower grades compared to N42. Coating Makes a big difference ! "........ the magnets themselves that can lead to a major failure in under 5 years............. Once the protective plating on the magnet is punctured, the magnet corrodes and swells gradually." Multiple coating is much more durable than Epoxy single layer coating because Epoxy single layer coating is a thin layer of plastic and quicker to wear off, even a scratch can damage the coating easily. More importantly, magnets with multiple coating have superior cracking and chipping resistance in comparison to magnets with Epoxy single layer coating. Customer beware of the magnets with the inferior Epoxy single layer coating. These magnets are much stronger than N35 grades, they provide higher output and performance than lower grade for wind generators.